I had the pleasure of collaborating with the beautiful homeschooling community Wild + Free in four of their montly content bundles. I started following Wild + Free since they started over a year ago through Instagram. I loved this initiative so much and found lots of things in common with my style and work so I decided to contact Ainsley (@ainsl3y), the editor and the organizer behind this beautiful community, I sent her my portfolio and was really interested in working with me. I collaborate in their bundles mainly in their DIY/Craft section of the magazine. I design the craft or clothing piece, source the materials and fabrics and create a step-by-step tutorial to guide the reader through the process of creating their own. Then I style each finished piece with quality photography to include in the tutorial. 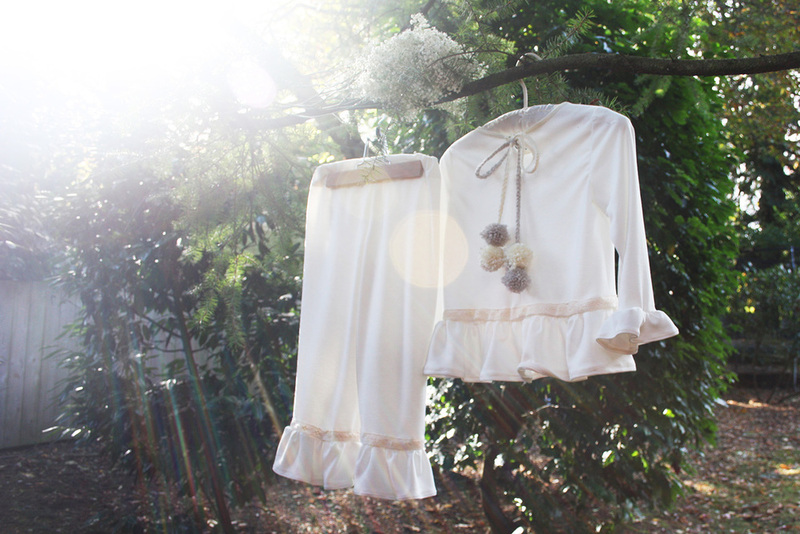 Each project is inspired by a classic children's book; the nightgown for the Wonder bundle was inspired by 'The Night before Christmas', the reversible cape for the Imagine bundle was inspired by 'The little Princess', the paper hats were inspired by the 'Swiss family Robinson' and the crowns were inspired by 'Where the Wild things are'. 1st Collaboration: Christmas bundle 2014; WONDER. I created a nightgown tutorial inspired on the book 'The night before Christmas'. I designed the pattern, resourced for the right fabrics and created a step-by-step tutorial. I also took the pictures of girls styling it to add to the content. You can download the full tutorial here, and you can download the pattern here. 2nd Collaboration: IMAGINE bundle, 2015. This Issue was inspired on the Little Princess book and I created a reversible cape step-by-step tutorial for girls. 3rd Collaboration: FAMILY bundle, 2015. For this Issue I created a step-by-step tutorial to make paper hats inspired on the children's book 'The Swiss family Robinson'. 4th Collaboration: ADVENTURE bundle, 2015. For this issue I created an adventure pouch for the little kids adventures. I created an easy reversible crown tutorial inspired by the book "Where the wild things are".